I just got a tip from Rowena Thursby that they moved all the comments. So maybe that article now has a comment block on it. The comments are now attached to another article on the Kelly issue. There are now 36 comments. I just got an email forward of this article via a friend in another state with about 100 names in the forward list, so the story is circulating in the States, in spite of the Israel/Lebanon matter dominating news mainstream and alternative. I never bought Kelly's death as suicide from the beginning. Damn sloppy execution. About as subtle a 'suiciding' as a gunshot to the back of the head. Suspicious executions at that level are that way on purpose. It sends a message to other potential whiste blowers. Equally strange is the stark fact that, despite the paucity of evidence to support the hypothesis that Kelly had taken his own life, no one suggested it might be anything other than suicide. Right from the start and without exception all of the press and broadcast media implied – even when it did not explicitly state - that Kelly had been so stressed by recent events that he had killed himself. No one pointed out the blindingly obvious: that if you are in fear of your life, you are quite naturally going to be…er…well, stressed. And no one ventured to suggest that Kelly might – just possibly - have been murdered. That in itself is curious considering the media’s usual appetite for sensationalism. Make no mistake about it, murder and intrigue make good copy! But most extraordinary of all is that even before details of how he had died had been released by the police, the media was doing its best to plant in the public’s mind the idea that Kelly had committed suicide! Of course, it’s only possible suicide – but why not possible murder? Above and beyond the D-Notice, however, is the absolute authority of the Home Office to circumscribe what material can and cannot be publicised and this extends not only to newspaper and broadcast media but to publishing firms as well. The power of the government over the media and the media over the minds of the people is the most effective way of - in Chomsky’s phrasing - ‘deterring democracy’. That is why, if Kelly was murdered, it will never become public knowledge. If you wish to copy me I would also be interested. Great New Angle on the Kelly "Suidice"
that threw a red herring before the truth. If he committed suicide. Why these lies? and what do we find? None of them were in existence. But many of his colleagues were incredulous that this steely weapons expert, highly-respected and at the peak of his career, would have crumbled to the point of taking his own life. Kelly was a man ‘whose brain could boil water’; who had, in the course of his career, dealt skilfully with evasive and threatening Iraqi officials. E-mails written just before his disappearance were upbeat, expressing his strong desire to return to Iraq and get on with the ‘real work‘. Asked by US translator and military intelligence operative Mai Pederson, if he would ever commit suicide, he had replied, ‘Good God no, I would never do that.’ Immediately after his death, Pederson asserted, ‘It wasn’t suicide’. This, for the establishment’s sensitive apparatus, was an alarming statement that could not be allowed to resonate. Any intimation of state-sponsored killing on British soil was politically seismic. The notion must be quashed, doubters turned. Additional motives had to be found to account for Kelly’s alleged final act. A simple but ingenious plan was devised: a civil servant, skilled in the art of deception, would convey a startling piece of fiction, and convince the world that this ‘suicide’ had been Kelly’s answer to a thorny predicament. Two days before he went missing on 17th July 2003, Dr Kelly gave evidence before a Kafkaesque Foreign Affairs Committee (FAC). It had been stated in the government’s September 2002 dossier that Iraq was capable of launching an attack on a British base within 45 minutes. The committee was convened to determine whether the weapons expert had been the source of Andrew Gilligan’s allegation on the BBC’s ‘Today’ programme, that in using ‘the 45 minutes’ knowing it to be false, intelligence and facts were being - in the words of MI6’s Richard Dearlove - ‘fixed around the policy‘. 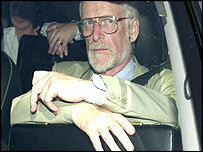 Dr Kelly admitted that he had met Andrew Gilligan to discuss Iraq. However the crux of the issue - whether Kelly had accused the government of taking military action using shaky intelligence - could not be resolved: Kelly denied it, and the FAC construed it unlikely that Kelly was Gilligan’s source. It appeared he was off the hook. 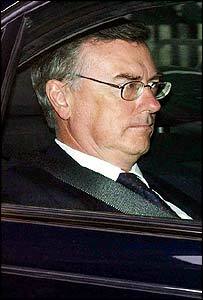 Astonishingly, within hours of his body being found, Lord Chancellor and old flatmate of Blair, Charles Falconer, appointed the establishment’s Brian Hutton, to head an inquiry into his death. Normally Inquiries take months to set up; this one took just five working days. But did he? A detailed analysis of Hutton evidence by the Kelly Investigation Group indicated that Dr Kelly‘s body was moved - twice; and that ‘haemorrhage’, listed as the primary cause of death, was almost certainly a mistake. It is known that doctors rarely agree. But in this case, nine doctors - four of them surgeons - concurred that from a single transected ulnar artery Dr Kelly would have lost no more than a pint of blood: the tiny artery would have immediately constricted and retracted, and blood-clotting would have ensued. This is consistent with the paramedics‘ observation that there was remarkably little blood at the scene. As for the secondary cause - co-proxamol ingestion - tests revealed that the amount in his blood was only a third of what is normally fatal - and there was no alcohol in his system. The Coroner nonetheless declared himself ‘satisfied’ with Lord Hutton’s conclusion that the government scientist took his own life. The court heard how Broucher and Kelly had talked over the problem of achieving Iraqi compliance with the 1972 Convention on Biological Weapons. Resolution 1441 had been passed, putting pressure on the Iraqis to give up their weapons. They discussed the government’s September 2002 dossier, and all the difficulties with ‘the 45 minutes’. It seemed a straightforward account - but one phrase electrified the court. According to Broucher, Kelly had promised the Iraqis that the West would not bomb, as long as Iraq complied with weapons inspections. The diplomat said he had thought Kelly believed Iraqi intelligence might have him killed if he reneged on his promise. But now, in the light of the scientist’s apparent suicide, Broucher ‘realised’ Kelly meant he might be shamed into taking his own life. But there is a massive problem with Broucher’s story. There is strong evidence that this meeting did not take place on 27th February 2003 - as he claimed - but on 18th February 2002. ‘the 45 minutes’ with all the problems it incurred, did not exist in February 2002 - it was not introduced until August of that year. Rather than be mesmerised by the magic phrase, ‘I will be found dead in the woods’, we must question whether the words were ever uttered. Doing ‘the best that [he] can’ as Dingemans prompts, he dons the cloak of a gauche amnesiac who must dig into a ‘very deep memory hole’ to dredge up the content of a rendezvous which, he maintains, took place only 5 months before. But Broucher’s date is wrong - and he knows it. Rachel goes on to say that this entry gives details of her father’s flights both into Geneva on 17th February and out of Geneva on 20th February. ‘Therefore it appears to be clear that Dr Kelly's one meeting with Mr Broucher was in February 2002 and not in February 2003‘. It can therefore be established with some confidence that Broucher met Dr Kelly not on 27th February 2003, but on 18th February 2002. And the start time was not ‘noon’ as Broucher claims for his 27th February 2003 meeting, but 9.30 a.m. But according to another of Kelly’s diaries published on the Hutton website, on 27th February he was still in New York on UNMOVIC business. There is no entry to indicate that he had a meeting in Baltimore on Friday 28th February as Broucher claims - the diary entry records that on Friday 28th February he was on leave in New York, and that he did not return to London until Sunday 2nd March. In a nutshell, neither Rachel’s diaries nor the Hutton website diaries contain an entry for Broucher or Geneva in 2003, whereas the entry in Rachel’s 2002 diary shows a meeting time, date and flight details. Thus there is convincing evidence that the Broucher/Kelly meeting took place on 18th February 2002. Had reporters been alert, they might have questioned how, despite Broucher’s poor recall of dates, he was nonetheless able to squeeze from his memory every twist and turn of his professed conversation with David Kelly. If he did not keep a record of the date of the meeting, presumably he did not keep contemporaneous notes. If he had, he would have dated and filed them. So how was he able to provide such a vivid and detailed account? According to Broucher, the meeting lasted about an hour. They began by discussing Iraq’s biological weapons capability. Counsel Dingemans then raised the question of Resolution 1441 which ordered Iraq to allow weapons inspections within 45 days. The most telling indication that Broucher’s account is a falsehood, is his claim that he and Kelly discussed the dossier and ‘the 45 minutes’. The September dossier was published on 24 September 2002. A paper on WMD capabilities was commissioned in February 2002, and another followed in March; but the early papers were not for public consumption. Broucher’s says his task was to ’sell’ the dossier to the UN - this did not apply to the early papers. The dossier referred to by Broucher and Kelly - in which ‘every judgement… had been closely fought over’ - was clearly the September dossier. As for ‘the 45 minutes’, according to both Lord Butler and Lord Hutton, this piece of intelligence was submitted to MI6 on 29 August 2002 - 5 months after the date Broucher alleged the meeting took place. Thus there is no way Broucher and Kelly could have discussed it. Broucher reminds us here of Kelly’s concern over the 45 minutes - as would later be conveyed to the BBC’s Andrew Gilligan. He terms this a ‘throwaway’ remark, affecting not to have thought it significant at the time. But far from being ‘throwaway’, it was actually designed as the climax of the whole drama: it suggested that Kelly was, in a sense, predicting his own suicide. While war was secretly on the agenda, it was not officially so. A secret memo to Tony Blair, dated 14 March 2002, revealed that UK Foreign Policy Advisor David Manning reported telling George W Bush at a dinner, that the Prime Minister ‘would not budge in his support for regime change’ in Iraq - an embarrassing revelation for Blair, who was outwardly insisting the reason for invasion would not be regime change, but failure to comply with weapons inspections. Publicly, an invasion of Iraq was barely on the cards in Britain at the time, and weapons inspections did not resume until 18 November 2002. In summary, Broucher’s ‘conversation’ was a fabrication from start to finish. His ineffectual persona was a cover. The confusion he sowed around dates was to protect him from future ’blowback’. This diplomat was less the bumbling fool, more the conniving fox. Oxford-educated barrister James Dingemans - Hutton‘s choice - took a soft-glove approach to witnesses, glossing over inconsistencies in their evidence. He and Broucher make an extraordinary duo. Nowhere else in the inquiry do we find such stilted language and tedious repetition. After a blow by blow account of the alleged conversation, with its ‘memory hole’ and ‘throwaway remark’, we are forced to go back over it when Broucher reads from an e-mail he wrote to press officer Patrick Lamb at the Foreign and Commonwealth Office to alert him to the conversation he supposedly had with Kelly. Once again we are told, absurdly, of Broucher’s ‘straining’ to dig up details of the meeting from a ‘very deep memory hole.’ Six more times we hear that ‘I will be found dead in the woods’ was a ‘throwaway remark’. By referring to it as an inconsequential throwaway remark, Broucher implies he was under no obligation to report it at the time. The casualness of the phrase belies the fact that this ‘throwaway remark’ was a pivotal part of the psyop; its purpose, to remind us of the primary newly-supplied motive - guilt. On hearing of Kelly’s death, Broucher ‘realised’ that the scientist had not meant that he might be killed by the Iraqis, but ‘may have been thinking on rather different lines’ - an oblique way of inferring that Kelly was foreseeing he might be driven by his own conscience to take his own life. Thus we are lured into accepting the idea that Kelly had been envisaging suicide for months. Given that we now know the actual conversation took place in 2002, it is clear that the whole David Broucher/dead-in-the-woods ‘event’ was staged to offer more persuasive grounds for David Kelly’s ‘suicide‘. The new message: that after the invasion of Iraq, David Kelly, deeply unhappy with his lot at the MoD, and sick with guilt at having betrayed the Iraqis, had finally been driven to take his own life. Thus his ‘suicide’ was not simply a desperate reaction to government pressure, but a response to the dictates of his own conscience. It was a slick and clever operation, and the world fell for it. But as with most deceptions there was a flaw: the planners had not foreseen that Rachel Kelly would publicly highlight the relevant diary entry at the Hutton Inquiry - and send Broucher’s edifice of deceit toppling like a house of cards. Since they had met in 1998, Mai Pederson had become Kelly‘s close friend, introducing him to the Baha’i religion. After his death she told her Baha’i associates, ‘There will be more coming out on this… Don’t believe what you read in the papers.’ Her optimism was misplaced. Denied the right to have her identity disguised at the Hutton Inquiry, she was whisked out of sight. No more came out, no one else ‘talked‘. History had been suitably revised. The ‘dead-in-the-woods’ psyop- in conjunction with MoD silencing tactics - had been a success. But why take the risk in setting up such an operation? Maybe Pederson was right in saying, ‘It wasn’t suicide’. At a highly-charged press conference in Asia after Kelly’s death, Blair was stunned by the question: ‘Is there blood on your hands, prime minister?’ We may never know. appearance by Broucher befor ethe Hutton Inquiry. scaling down ahead of the weekend break. catch the weekend Sunday newspaper headlines. It takes a lot to shock journalists, but a UK diplomat's revelation that Dr David Kelly had told him he would probably be "found dead in the woods" if the UK invaded Iraq did just that. An audible gasp went up as David Broucher told the Hutton inquiry how the weapons expert had made what he thought at the time was a "throwaway" remark during a meeting in Geneva. This low-voiced former British ambassador to Prague - now a permanent representative to the Conference on Disarmament in Geneva - had until Thursday morning not even been expected to give evidence. Indeed, the stenographer's note had prepared us for another witness - Ben Bradshaw, the government minister. Until this mystery man's appearance it had been a fairly pedestrian day. Donald Anderson, the doughty chairman of the Foreign Affairs Committee, trotted in, followed by a series of reporters who were asked about how they came across Dr Kelly's name. Then it was the turn of Mr Broucher - allocated the after-lunch slot at the end of the Hutton inquiry week - not a good time to grab the attention of the press. Journalists' shorthand in Court 73, and in the overflow, air-conditioned "press tent", was slowing. The forthcoming weekend was being planned. Mr Broucher detailed how he had arranged to meet Dr Kelly to "pick his brains" about weapons of mass destruction. Dr Kelly told him how he had tried to persuade the Iraqis to cooperate with the United Nations' weapons inspectors. But Iraqi officials had told him that if they revealed too much about their state of readiness, this might increase the risk that they would be attacked. Mr Broucher said Dr Kelly had "tried to reassure them that if they cooperate with the weapons inspectors, they had nothing to fear". The diplomat's impression was that Dr Kelly had felt "some personal difficulty or embarrassment over this because he believed the invasion might go ahead anyway and that some how it was putting him in a morally ambiguous position". And then it happened. The bombshell. Mr Broucher's own weapon of mass destruction. As Dr Kelly was leaving their rendez-vous, he asked him what would happen if Iraq is invaded. "He said: 'I will probably be found dead in the woods'," recalled Mr Broucher. "He said what?," came the whispered cry from the back of the court. Suddenly the press bench jumped back into action. Journalists gasped. Pens scribbled furiously. Those who hadn't been listening closely turned their attention to the stenographer's note as it tickered away on screen. "Dead in the woods!" was muttered as pages turned on notebooks. Mr Broucher said, quite calmly, that he hadn't realised the significance of these comments until weeks after Dr Kelly's body was found in woods at Harrowdown Hill, an Oxfordshire beauty spot. Once it dawned on him this was important, he contacted Patrick Lamb, the desk officer for biological weapons in the Foreign Office, to say he had found something from a "very deep memory hole". In an e-mail to Mr Lamb, he said Dr Kelly had believed that if there was actually an invasion "that would make him a liar and he would have betrayed his contacts" and some "might be killed as a direct result of his actions". With that flurry of information, Lord Hutton said, with perfect understatement, that this might be the perfect time for a break. Journalists almost fell over each other to reach for the door to file the immortal words to news desks across the world. In another part of the Royal Courts of Justice complex, as Mr Broucher's remarks were fed through to the marquee where more journalists watched via video link, there was a stunned silence followed by a rush by some reporters for the tent flaps. The area outside was filled with hacks. Phones were clasped to ears. It was an astonishing development. An email has just been read out – detonated would be a better phrase – from the phone hacking trial. It appears to suggest that Tony Blair was advising Rebekah Brooks and Rupert Murdoch on how to deal with the firestorm engulfing them. For obvious reasons it isn’t possible to go into the implications for that case, which is ongoing. Ms Brooks denies all charges. But the message carries a politically explosive phrase. Brooks claims Blair advised her to set up a quote “Hutton style” inquiry to assist in responding to the allegations facing News International. 1. Form an independent unit that has an outside junior counsel, Ken Macdonald, a great and good type, a serious forensic criminal barrister, internal counsel, proper fact checkers etc in it. Get them to investigate me and others and publish a Hutton style report. The email, from Brooks to James Murdoch, concludes “He is available for you, KRM [Rupert Murdoch] and me as an unofficial adviser but needs to be between us. A lot of people within the Labour party are already asking why Blair was apparently advising Brooks at a time when Labour and Ed Miliband were trying to get to the bottom of the phone hacking affair. But to be honest, that’s a side issue. What’s so damning is the way Blair appears to view the Hutton inquiry as an appropriate model. Blair’s explanation might be that the “Hutton” reference reflects Brooks's interpretation rather than his own. But the reference to “outside junior counsel, Ken Macdonald, a great and good type, a serious forensic criminal barrister, internal counsel, proper fact checkers etc” is basically the Hutton model word for word. Of course many of us always thought Hutton was a whitewash. But it was a supposedly independent inquiry into a man’s death. Careers were ruined over it. As I coincidentally happened to write earlier today, the BBC and the government were plunged into open warfare over the affair. And yet the Prime Minister of that time appears to have recommended it to one of his close friends as a useful model in time of need. Tony Blair is now facing his own firestorm. And deservedly so.